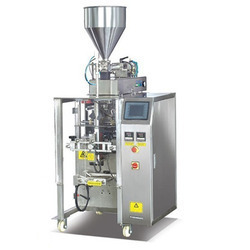 Pioneers in the industry, we offer cement filling machine auger filling machine, dry red chill mirchy packing machine, oil packing machine, batter packing machine, mango pulp filling machine and batter paste filling machine idly dosa mavu from India. 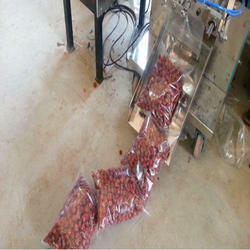 Range : 10-100gms;25-250gm; 50-500gms;200 to 1000gms. 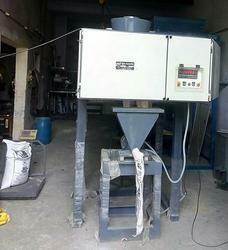 Masala Powder, Atta, Maida, Cement & all free flow powder. 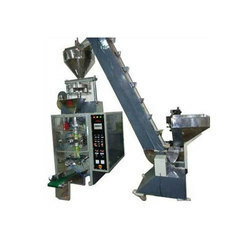 Chips, Snacks, Raw Dry Chilly / Coriander, Ball chips, cranes, candy chocolates, granules etc. 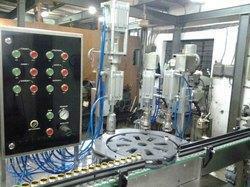 Liquid like Shampoo, Pickles, Coconut oil, Edible oil etc. 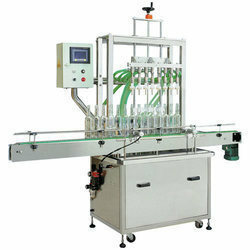 Capacity : 5 ml – 100ml; 100ml – 1 Lts. ; 500 ml – 5 Lts. 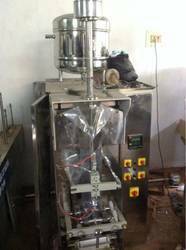 Medical Syrup, Juice, Mango Pulp, Oil, Coconut Oil, High Viscous Oil etc. Idly Mavu, Dosa Mavu, Mango Pulp, Adhesives, Jams & Viscous products. 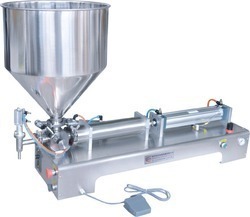 Capacity: 250 - 500 gms, 500 - 1Kgs; 1kg – 5 kgs. 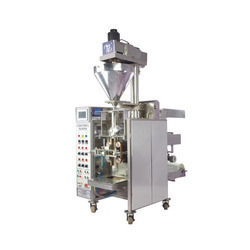 Operating Speed: 600 - 1200 filling / hr (Depending on packing size). 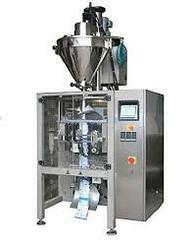 Pharmaceutical, Chemical, Pesticide powders, Ground Coffee, Flours, Milk Powder, Masala Powder. Oil - Coconut Oil Shampoo, Syrup. 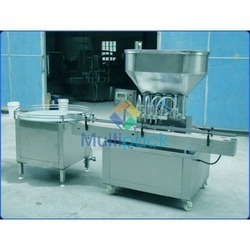 Pepsi, Fruit Juice, Fruit Pulp etc. 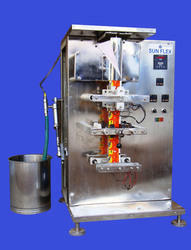 Special pump is required for oil, fruit pulp, ghee & Vanaspathy. "All the contact parts in stainless steel"
With Sensor Mark cutting like Hatson Milk. Mineral Water, Rasana, Synthetic Juices, Milk, Butter milk and Arrack. 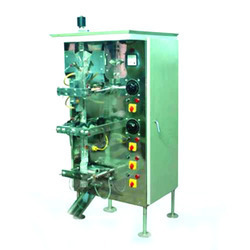 Special pump is required for oil, fruit pulp, ghee & vanaspathy. Chips, Snacks, Ball chips, Cranes, Raw & dry Red Chilly, Coriander, Candy chocolates, Granules, Sauce etc. 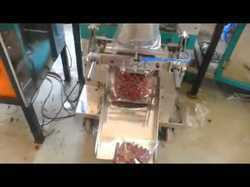 Chips, Snacks, Ball chips, Crane, Raw & dry Red Chilly, Coriander, Candy chocolates, Granules, Sauce etc. 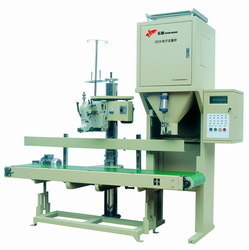 Filling Accuracy : Up to ± 1% for most of the material at constant material level. 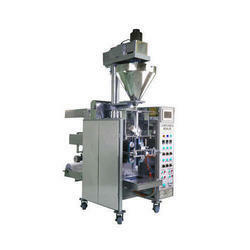 Operating Speed : 500 to 1200 Filling / hr. (Depending on packing size). 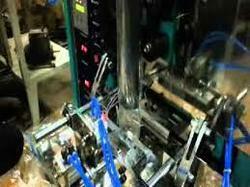 "All the contact parts are in stainless steel"
Chips, Snacks, Ball chips, Cranes, Candy chocolates, etc. Range : 1gm to 10gms. 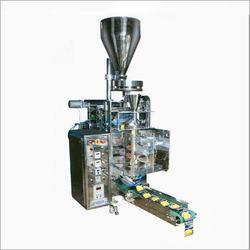 Special Machines for Appalam, Box Type Cream, Camphor are designed on Customer Request. 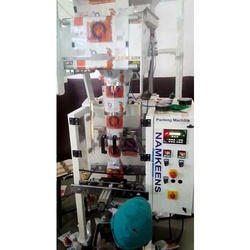 Batch Cutting (10,12 & 20 Pieces), Intermittent Printer, Colour Sensor cell, Batch Coding unit for MRP, Date etc., Rib sealing with Intermittent, Pneumatic Type sealing & Cutting & control with PLC. 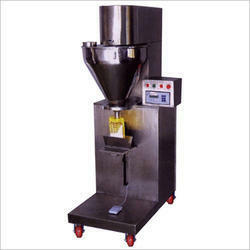 Masala Powder, Atta, Maida and all free flow powder etc. 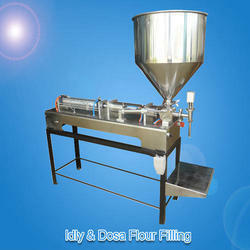 Idly Mavu, Dosa Mavu, Mango Pulp, Adhesives, Jams & Grease & Viscous products. 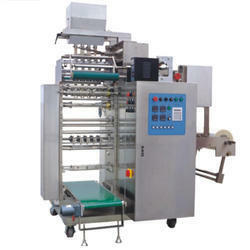 The Paste Filling Machine is employed for packing free flowing / non flowing pastes.